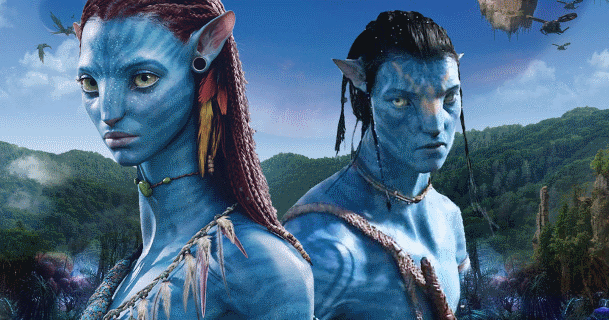 It has been ten years since James Cameron’s Avatar came out in 2009 and blew everyone away. The film was a ground-breaking display of what was possible with 3D and computer generated graphics. It also became a blockbuster hit worldwide, becoming one of the highest-grossing films of all time. There are few sci-fi films that have achieved the level of success that Avatar did, and there has long been talk of a sequel. Recently, James Cameron had given some good news to Avatar fans by stating he had multiple sequels planned out for the Avatar franchise, with the first one slated to release in December 2020. With over a decade between the original film and the sequel, there are some who have reservations about Avatar 2. After all, would the audience still be interested in a sequel to a movie that came out over ten years ago and has had almost nothing to keep the interest going still? But, Hollywood is no stranger to sequels to movies that came out years ago or reviving old properties through reboots. If they are done well, James Cameron might very well have another massive blockbuster hit on his hands. Considering the fact that Avatar was considered such a pioneering film in terms of building a completely new world with complex species and realistic interactions as well as the visuals that made it seem hyper-realistic, there are some very high hopes from the sequel too. Not only has James Cameron announced Avatar 2, but he has also announced that he plans on making Avatar 3, 4, and 5. He has apparently been shooting Avatar 2 and Avatar 3 simultaneously in New Zealand and back in November 2018, James Cameron confirmed that they had finished principal photography of both the films. However, for a CGI-heavy film like the ones in Avatar-series, it still means that there is a lot more to be done to make the film. The post-production can take a considerably longer time in order for the special effects to look realistic. And when it comes to James Cameron - we know that he will be aiming for an even higher standard than for just having the film look realistic. While we don’t know much about the story yet, Avatar 2 is confirmed to star Sam Worthington and Zoe Saldana. In case you don’t recall the events of the first film, Sam Worthington’s character, Jake Sully, had completely transitioned into his Na’vi avatar at the end. Zoe Saldana played the Na’vi Neytiri, who was also Sully’s love interest. Most of the humans were also sent back to Earth, but they will obviously be finding a way to come back. Avatar 2 is currently scheduled to release on December 18, 2020. However, due to the impending Fox-Disney merger, the future of all the four sequels is not certain yet although if it proves to be successful again at the box office, we are sure to be returning to Pandora for more. Checkout for more future english movies here.